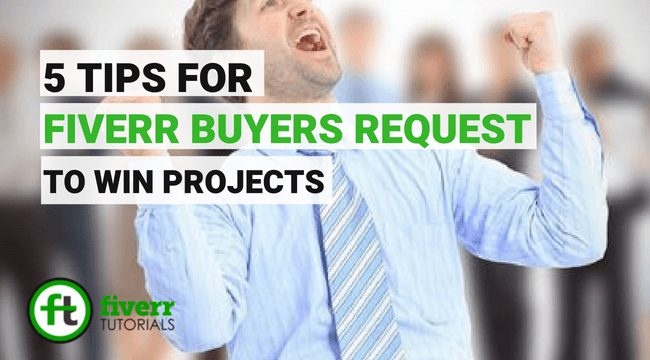 Fiverr Buyers request play an important role in winning projects for the New Sellers. If you are a new seller and not sending buyers request. Then this is one of the main reason that you’re not getting orders on Fiverr. With the kind of traffic Fiverr is carrying in this modern marketing era, it’s impossible that you don’t get an order. Where buyers proposals can award you with projects, at the same time, it’s important that you learn the proper way to use them. 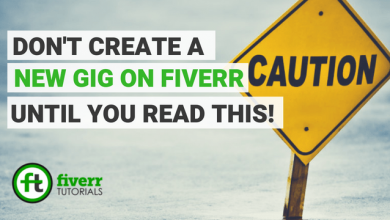 Most of the sellers don’t know how to design Fiverr buyers request that will fascinate the buyers at once. So, in this tutorial, we gonna share 5 important steps that will make your proposals buyer-friendly. The first step is to introduce yourself to the buyer. Most sellers start the proposal bragging of their experience. They don’t even bother saying a “hi” to the buyer which makes the buyer skip their proposals. So start your proposal with charming phrases like “hi there” or “hello there”. If possible, then try to use the name of your buyer. It will make him feel more interested in your proposal. In this step, you should address the needs of your buyers. Read what he has asked for in his request, and then do a quick brainstorming and come up with ideas of how you can help him with his project. Share a brief description of how you’re planning to complete the projects, and what values you can add in. But remember, you shouldn’t go overboard here. Just keep it short and straightforward. Now, it’s time to show off your expertise. Tell your client how experienced you are, and how many successful projects you’ve done before. If you have a web-based live portfolio, then share some links with him. But if you don’t have any live portfolio, then tell him to knock you in your inbox. And at the bottom of your proposal, you should specify your price and the time you would take to complete his projects. Though there are separate fields to provide this information, mentioning them in your proposal will make it easier for your buyer to be sure of your price. The last step in your Fiverr buyers request is to finish your proposal. Yeah, it’s easy to conclude your proposal saying “thanks”. But to create a better impression, you should be creative here. For instance, I always end my proposal saying “Looking forward to hearing from you” This informs the buyer that I’m waiting for his response. So even if he doesn’t like my proposal, he sends me a reply which opens the door to pitch my gigs to him. So these are the 5 simple steps you should consider when writing a buyer request. Remember, every day tons of new buyer requests come on Fiverr. And if you can make the best use of them, you can easily kick start your fiverr business. Very informational website. Hope my account will be promoted using the tips and tricks that are taught here.